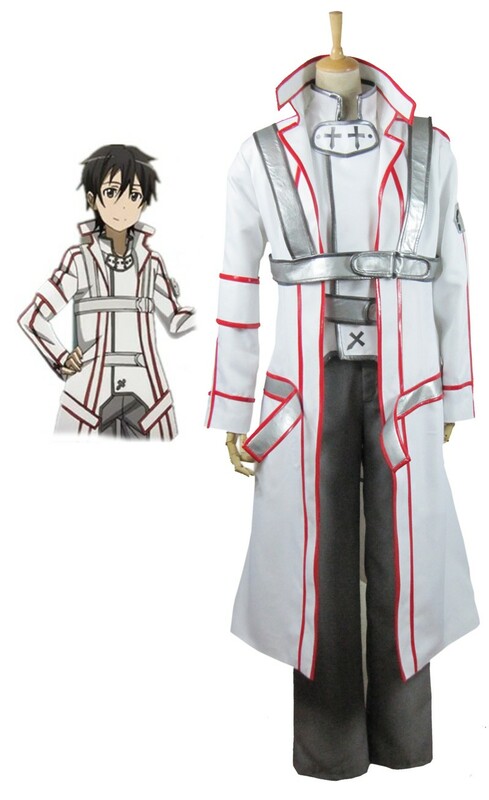 Sword Art Online SAO Kirito Knights of the Blood White Cosplay Costume. . HD Wallpaper and background images in the sword art online club tagged: photo sword art online kirito cosplay costume cosplay. This sword art online photo might contain sobreveste, sobretodo, and cota de.